The DSTAR DVAP – Raspberry Pi (“RPI”) combo that I wrote about in my previous post is super portable and “just works” when power is applied to the RPI. There are times, however, when it is convenient to have a monitor and keyboard/trackball handy for the changing of settings, troubleshooting, etc. As I gave this some thought, I looked at some “go boxes” that I’ve seen on the Internet for non-dstar set ups and some featuring the RPI and DVAP. Some notable kits have been displayed by W5TMP and VK5REX. WD4CWG and WB4QDX have also provided some ideas in emails we have exchanged. I wanted a similar setup, and one that I could use with AC or 12 volt battery power. I also wanted to build it to allow the connection of other equipment, if needed. So, with these thoughts in mind, I first took stock of what I already had in the ham shack and discovered that other than a few odds and ends, I had all of the major items. Here’s an inventory of the major components that I decided to use. The box. The box is an aluminum brief case type tool case. I picked mine up at the local Home Depot for around $20. I could not find this case on the Home Depot web site, but noticed that Lowe’s carries a very similar case. The power supply. 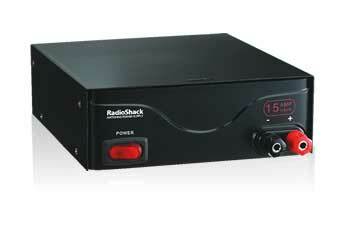 The power supply is a 19 amp Radio Shack switching supply. It’s basic, but it does the job. This supply is probably overkill for the intended application; however, I had it in the shack and decided that having a 12 volt 19 amp supply would allow me to add equipment, if necessary down the road. The power strip. I am a true believer in Anderson Power Pole products and West Mountain Radio Rig Runners. I had a spare Rig Runner 4005 in the shack and decided to use it for power distribution in the box. The USB Buddy. This might be a strange name for this device, but it is very useful in this set up. 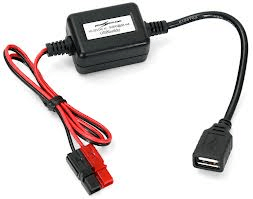 The USB Buddy from Powerwerx allows me to connect a 12 volt source to my RPI and provides it 5 volts with 3 amps. It works great and will also double as a phone charger if you need it (especially if you are using your phone as your portable hot spot). The monitor. 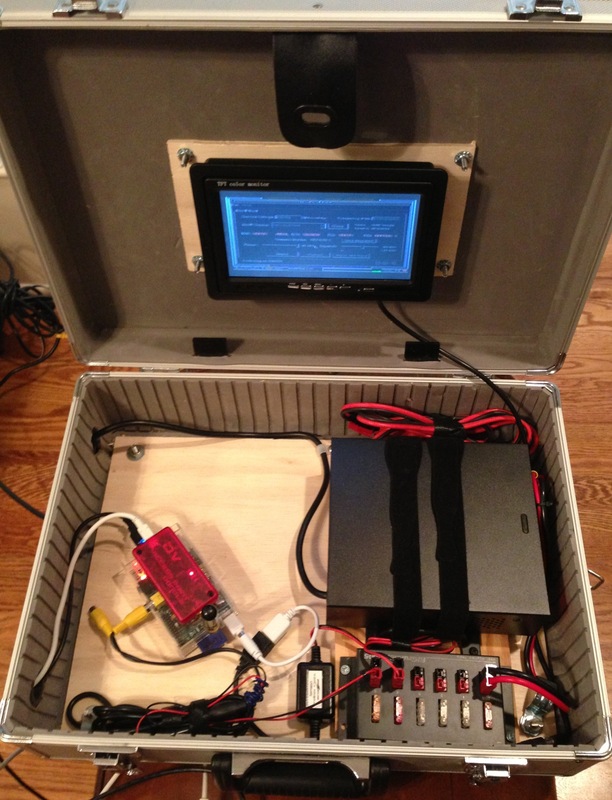 The main purpose for the go box is to allow the use of a portable monitor to see what is happening with the RPI. It’s also nice to be able to see the DVAPTool activity on the screen. I did not have this lying around the ham shack, but knew I did not want to break the bank. 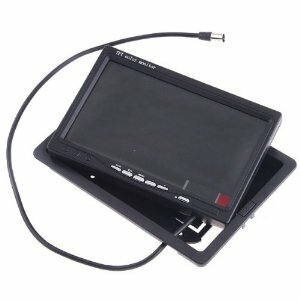 I ended up spending $35 on a 7 inch color TFT monitor designed for automobile back up cameras. It is not very high resolution, but it works for this application. This monitor supports two video inputs (if you want to add a second RPI to the mix) and takes 12 volts and 0.5 amps to operate. I purchased mine from Amazon. The keyboard/trackball. There are a lot of options for USB keyboards with built in trackballs. Some are bigger than others. I considered one of the mini-keyboards, but realized that this would not work well for me. I instead chose to use a keyboard\trackball combo with a relatively standard sized keyboard. I also chose a keyboard with two USB ports built in. With the RPI being powered with 3 amps, it’s easy to plug the DVAP into one of the spare ports. It provides adequate power. Here’s the Perixx keyboard I purchased from Amazon. Those are the main components for the go box, but how did I assemble everything? First, I had to decide how to mount everything in the box so that it was portable and things would not move around. This is somewhat problematic with the aluminum case as it is very thin. I decided that some screw heads would just have to show in the top and bottom of the case, but I was ok with this. So, the first step was to add some wood inserts in the bottom of the case to make sure there was added support for the power supply, the heaviest piece of equipment to be mounted. I cut a piece of ¼ inch plywood to fit the bottom of the case and put it in place. I then drilled four holes through the wood and the bottom of the case, and ran bolts through the bottom into the case. Nuts and lock washers completed the “floor”. To have a little more support for the supply and the Rig Runner, I added a strip of ¾ inch plywood at the spot where those two pieces of equipment would be mounted. But how was I going to securely mount the power supply? After some thought, I went to the local Home Depot and purchased two small drawer handles (“grab handles”) and mounted them with screws to the ¾ inch plywood so they were on each side of the power supply case. After securing the handles and placing the power supply, I ran two large Velcro straps through the handles and around the supply. After making sure both straps were very tight, I closed the lid and picked up the case to test the installation. The power supply did not move! After testing the power supply, I installed the Rig Runner on the ¾ inch plywood board with two screws. From there, I mounted the USB Buddy to the ¼ inch plywood with super strong 3M outdoor double sided tape. The case I use for my RPI has holes for two mounting screws and I used those to secure it to the ¼ inch plywood floor. The DVAP was attached to the top of the RPI with Velcro tabs. But what about the monitor? I knew I wanted it mounted in the lid of the case, so I cut another piece of ¼ inch plywood and secured it to the top of the case in the same manner I secured the floor to the bottom of the case. From there, I used the mounting frame that came with the monitor to secure it to the ¼ inch board in the lid. Once all of the hardware was installed, I had to decide on the wiring. I had previously used this case with another ham radio application and had drilled two large holes in the side of the case which were then finished with large rubber grommets. I decided to use the hole towards the back of the case for the power cord for the power supply. The hole in the front side of the case would be used for the USB cords for the keyboard and DVAP. 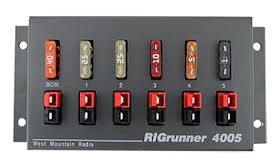 I then ran the DC power wire from the power supply to the DC input on the Rig Runner and connected the power poles from the monitor and USB Buddy to two of the Rig Runner’s outputs. Finally, I connected the composite video cable and keyboard cable to the RPI and the DVAP to one of the USB ports on the keyboard. I plugged in the power supply and held my breath when I pressed the power switch. After a moment, I saw the RPI bootup sequence scrolling on the monitor, and eventually the DVAP software was displaying on the screen. Success! I have now tested this setup in several different locations and all continues to work very well. When I am not using the box, the keyboard and my small pouch with spare cables and my Powergen battery fit inside with the lid closed. 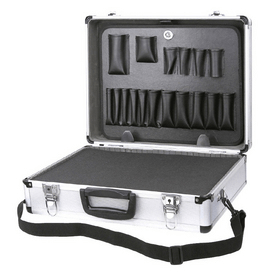 While this case is not waterproof like a Pelican case would be, it is compact enough to carry just about anywhere and provides great flexibility. I continue to be amazed at how well the RPI and DVAP work together, and this go box provides one more way to enjoy this great system. This entry was posted in Uncategorized and tagged DSTAR, DVAP, Go Box, Raspberry Pi, RPI. Bookmark the permalink. 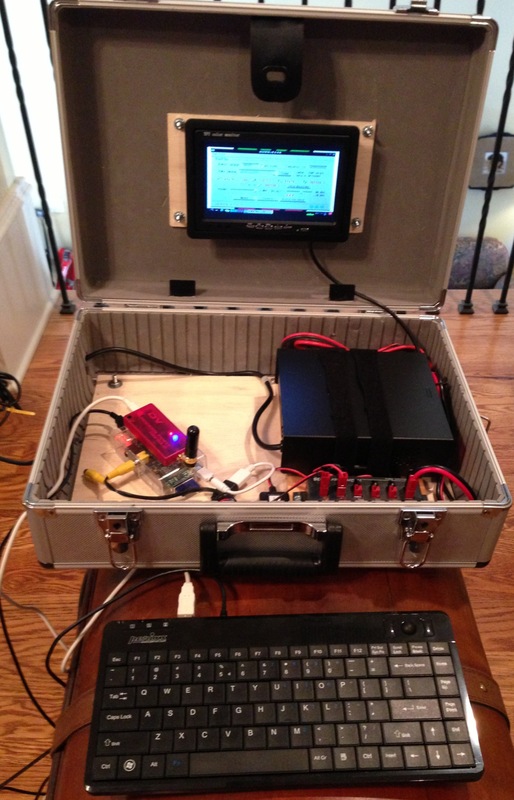 Now add D-RATS to the PI and you will have a real portable Command and Control station. The two programs work great with my installation on my PI. I used a similar install but with a NetBook during Hurricane Irene. . Throw a USB hockey puck GPS into the mess and you really have system! a) VK5REX is the repeater callsign, VK5ZEA Michael is the man behind it. b) The 3amp 5v supply should go to a decent 4 (or 7) port USB hub. the dvap is then connected to the hub, Also a usb > mini usb line from the hub back into the pi usual power inlet near the SD card slot. The dvap does not draw from the pi usb port power at all like this. usb and pi inputs share the same supply , voltage and ripple phasing. The usb ports each have 100mA polymer resettable fuses. The pi input fuse is a polymer 700mA resettable. 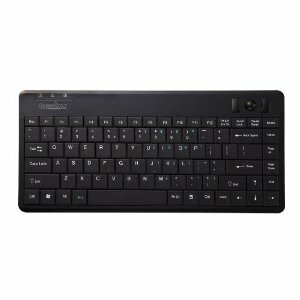 The best keyboard – mouse setup is a logitech MK260 or MK360 usb receiver wireless setup taking one usb port for the two devices wirelessly. (embedded vnc java plugin just type in : vk4tux.no-ip.org ) & click ok.